Take a break from Rio de Janeiro with a short trip to Imperial Museum in Petropolis, about 1h 25 min away. The adventure continues: take some stellar pictures from Sugarloaf Mountain, explore and take pictures at Maracanã, admire the natural beauty at Theatro Municipal do Rio de Janeiro, and pause for some photo ops at Corcovado Christ the Redeemer. 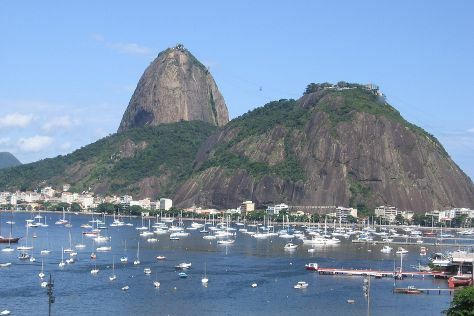 To see other places to visit, traveler tips, and other tourist information, go to the Rio de Janeiro route planning website . In April, plan for daily highs up to 33°C, and evening lows to 26°C. Finish your sightseeing early on the 23rd (Tue) so you can travel back home.